Welcome to the Fall 2018 edition of our Alumni & Friends E-newsletter! We’re excited to share some of the compelling stories from our Department this year, and introduce you to the many impressive faculty, staff, and students in our community. This academic year is especially momentous for our Department. Built in 1998 and dedicated in 1999, the UConn Chemistry Building was the first infrastructure project under what became a series of multi-billion dollar, multi-decade, state-sponsored programs that transformed our campus and University. In April of 2019, we will celebrate the 20th anniversary of this iconic campus landmark and the start of UConn’s remarkable transformation. This upcoming year is filled with other Department events, such as Science Salon Jr. during Homecoming Weekend, weekly seminars, and the Randolph T. Major Symposium. We hope that you can join us at these programs, or that you stop by to visit if you find yourself in the area. Check out our newsletter archive for previous issues of our Alumni & Friends Newsletter. Make sure you get a copy of our new e-newsletter! Please provide your contact information below to join our Alumni & Friends Newsletter e-mail list or to update your contact information on file. I currently do not receive communications from UConn Chemistry. Please add me to the UConn Chemistry e-newsletter list. I already receive communications from UConn Chemistry, but I would like to update/confirm my contact information on file. 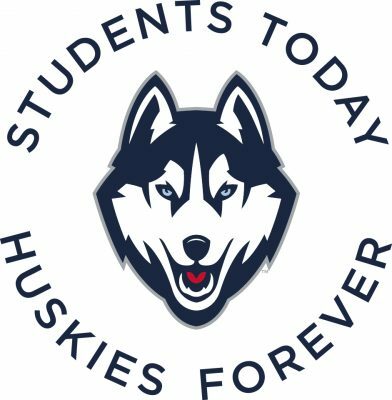 Share YOUR UConn Chemistry story! We invite all alumni and friends to share your favorite photos and memories with us! Share your news HERE, tag us on social media at #UConnChem20, or e-mail chemnews@uconn.edu! The best shots and stories will be shared online and in our upcoming newsletter!